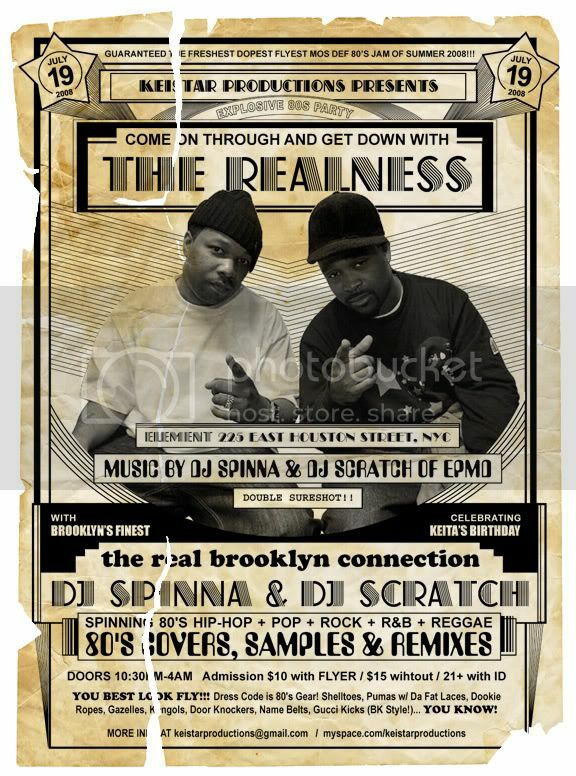 Don't miss Spinna and DJ Scratch bringing the dopest 80s jam of the summer this Saturday at Element, NY. This is the time to flash your freshest 80s gear. Make sure to print out this flyer to get the $5 discount. Also, happy to birthday to Keita!